30 January 2011: Who's made a mark this week? I'll start with the fact that it still gives me great pleasure to reiterate the fact that Making A Mark achieves #2 in Top Ten Blogs of 2010! A Postcard from my Walk is a new group blog. I'm very happy to say that during my short respite from blogging I helped give birth to a new group blog. 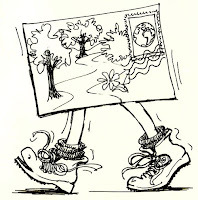 This one is a spin off from Sketchercise which I founded in 2009 and this is my post on this blog Introducing 'A Postcard from my Walk'. 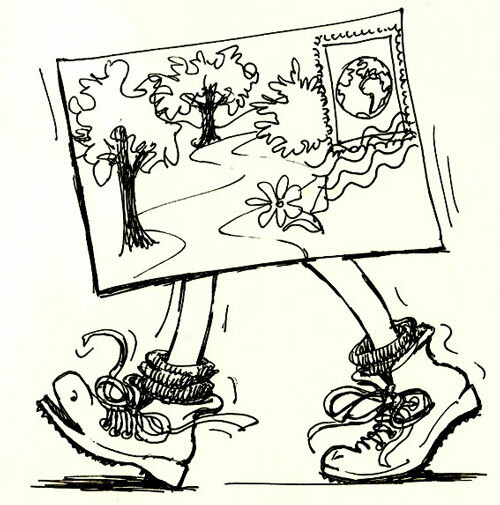 A Postcard from my Walk aims to provide "the real thing" and not just the digital version to those of us who have been involved in a group which focuses on sketching and exercising. Postcards will be posted in the last week of every month - and will appear on the blog when received by the person they were posted to. #adailyselfreflection began when I realised there was a great forum in cyberspace for showing digitally generated work, and I loved the idea that artwork with no tangible existence could be viewed in the exact form in which it had been created. New artinfo blogger Karen Archey comments on the naurte of art blogging in Addicted to Hits: On Art Blogging. However I think she forgets that not everybody who has an art blog does it for commercial reasons and not all content on art blogs is always driven by the need to make a buck or get a speaking engagement. This is a new section devoted to posts about the artist in conceptual or practical terms. Joanne Mattera (Joanne Mattera Art Blog) kicks us off with Marketing Mondays: How Do You Define "Emerging Artist" And Other Career Levels? It seems 'emerging' now means 'beginning' but could also be code relevant to status in the marketplace. Some great comments discussing the notions also of 'mid-career' and' late-career' and the commodification of artists. Emerging is a coded term that is supposed to alert collectors and the public that the artist is all set to earn some serious cash. I also liked Robert Genn's (The Painter's Keys) The Feminine Mystique - particularly the list of characteristics and attributes at the end which he observes in highly optimistic, ambitious women who value education and are willing to put in time and treasure (when they have it) to achieve their goals. Pastel on paper 13" x 17"
Shirley Levine (Paper and Threads) has Another Project which she needs help with. I'm loving the paintings she's done so far. Irene Brady writes the type of blog post which I really enjoy reading but which, sadly, I don't see enough on the Internet. It's the journal of a real traveller going places I've never been before and recording lots of details about the place. Irene Brady (Nature Drawing with Irene Brady) has been writing about her nature journalling trips to Costa Rica and the Amazon. I like the mix of photos of flroa and faunaand extracts from her nature journals. 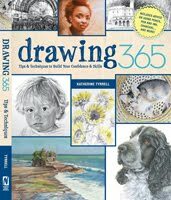 How to Draw a Tree is a blog by Martin Stankewitz - particularly useful for those who want to get to grips with drawing trees. 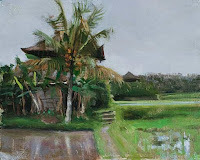 I'm loving Julian Merrow Smith's (Postcard from Provence ) paintings of Bali. It takes me back to my two visits to the island. 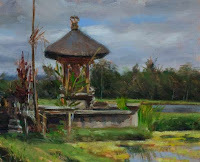 See my post Painting tropical landscapes in Bali and Julian and Ruth's blogs for more pictures. Plus it's great seeing lush green in the middle of winter! Bill Guffey paints a winter landscape plein air (video) is 2 hours of painting a winter landscape in the snow educed to eight minutes. 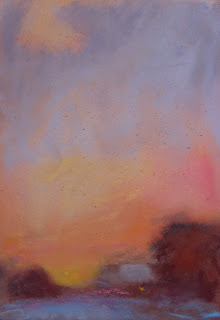 Do let me know if you have a video of you painting landscapes which might be suitable for The Art of the Landscape. Everybody go say "Hi" to Loriann (loriann signori's painting-a-day) who is recovering from surgery and doing memory landscapes and quoting Carlson! The Daily Paintworks people have issued a Daily Paintworks Challenge. 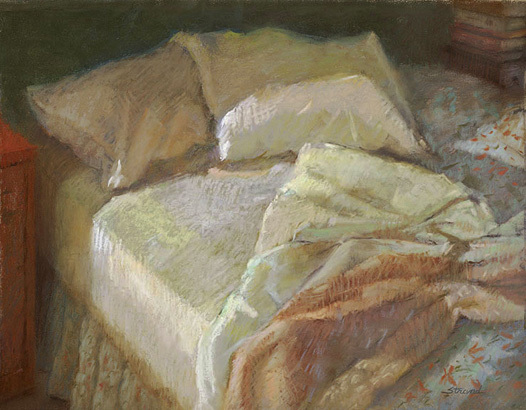 Carol Marine (Carol Marine's Painting a Day ) explains it in this blog post "Suspicious Spoon" & Challenge! I think it might need a bit more explanation on the website too. Etsy's Storque blog has been focusing on the "shop makeover". Here are links to the various blog posts - good for those who'd like to professionalise their approach to ecommerce - wherever that may be. The latter comes from the Wonder Thinking blog and focuses on the The Wonder Thinking Business Plan-o-Rama workbook (download) on Topics are covered in blog posts - they're very basic but a useful start for those who've never tried creating a business plan before. Clicking on a Masterpiece The Wall Street Journal discusses whether collectors are now ready to buy million-dollar artworks online. There's not one but Two opportunities to be Wildlife Artist of the Year 2011! But you need to get your entry for one of them in by tomorrow! The Margaret Flockton Award commemorates the contribution Margaret Flockton made to Australian scientific botanical illustration. Entries for the 2011 Award close on 4th February. 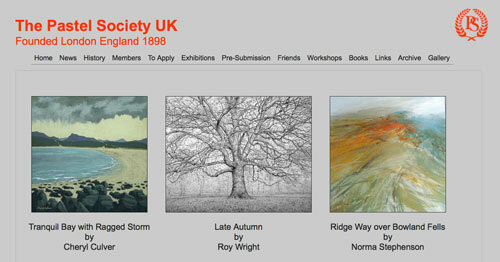 You can see prizewinners and highly commended if you click the link. You can also get a much better look of them on Flickr in the RPBG's Margaret Flockton Set. 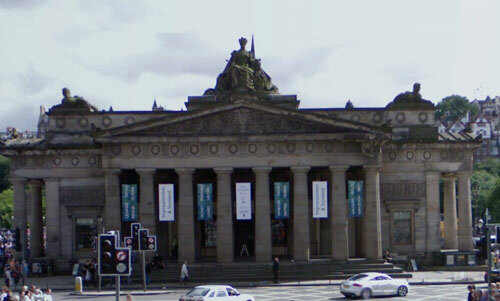 This is my post about the Annual Exhibitions of Scottish Art Societies. I wonder which of you got have got your work accepted? Major Art Exhibitions in London in 2011 has proved to be a very popular post. It was quite amazing after I'd finished listing everything out to realise my stunning good fortune to have all this art on my doorstep! 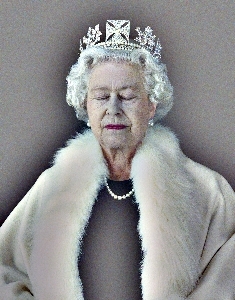 This will be a major exhibition in London next year to mark the Queen's Diamond Jubilee - The Queen: Art and Image. In the meantime it's touring the UK and will be visiting Edinburgh, Belfast and Cardiff. Anish Kapoor: Turning the World Upside Down in Kensington Gardens a Royal Parks video - which has Anish Kapoor explaining his sculptures and how they fit into the park and also how they are animated by the skyscape. London's Wallace Collection, Known for Old Masters and a Notorious Hirst Show, Appoints a New Director - Christoph Vogtherr is apparently a traditional curator. One of his areas of specialism is Watteau - and guess whose drawings will be the feature exhibition at the Wallce this year! 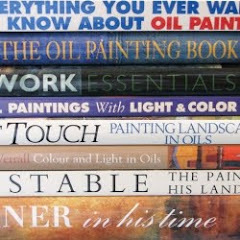 Stapleton Kearns (Stapleton Kearns) has started a new blog project - 100 paintings artists should know (in the opinion of Stapleton Kearns!). Here are the posts so far. I must confess I haven't quite got the hang of how his sequence of titles are working although I've listed in the order posted. he's started with the Italian Renaissance and is already up to painting #14. I've been studying portraiture of late and earlier this week posted How to identify favourite portrait painters. Who are your favourite portrait painters of all time? 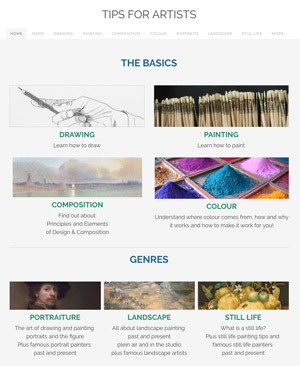 I added a section about PanPastels into my information site Pastels - Resources for Artists this week and discovered that this brand of pastels also has a blog! 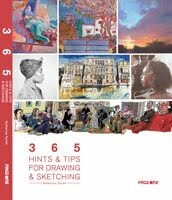 Enter Paint Draw Blend Exploring the World of PanPastel Colors for Painting, Drawing & Mixed Media Art. Deborah Secor (Deborah Secor: Today's Art Class) has an excellent post about elements of composition (which I read thanks to Casey Klahn) which provides a neat synopsis of design elements and also highlights - for easch design element - blogs where people demonstrate a good use of that particular aspect of design. She continues her online sharing in her art class by also covering the importance of "value"
Mitchell Albala has got a new app related to his book about landscape painting. Landscape Painting — There’s an App for That! However I found it left me down a dead end when I got into one of the sections and I couldn't get out. James Gurney's (Gurney Journey) got a talent for blog post titles - this one grabbed my attention Van Gogh’s Color Schemes Served as Pie Charts. 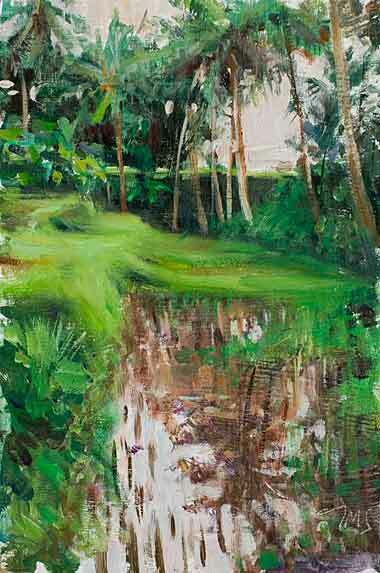 The topic is also great for showing you the balance of colours in a painting. act on reliable copyright takedown requests within 24 hours. prevent terms that are closely associated with piracy from appearing in Autocomplete. experiment to make authorised preview content more readily accessible in search results. In Google search and search engine spam, (on The Official Google Blog) Matt Cutts has announced that new developments are getting even better at detecting spammy content. Those of us who have problems with content being stolen from blogs should feel a bit happier that things are moving in the right direction. The results of the January Making A Mark Poll were published yesterday in Are you a left handed artist? (Poll Results). I'm not sure whether the very nigh number of people voting was because of lots of new visitors to this blog in January, the accessibility of the questions and answers or what. However 31% of 262 people said they were left handed artists. There's a slightly different version of the poll on new "resources for artists" site - Are Left Handed People more likely to be Artists? After the poll and the research, I've come to the conclusion that rather a lot of artists are said to be left-handed with very little evidence to support this. James Gurney has written an interesting and thoughtful piece about "Hyperlink Placement" in relation to were you put your links in a blog post - in-text, at the end or both. Do you create a blog of the best blog posts from the last year? Gayle Mason does - read The Second Volume of Fur in the Paint and find out why and the benefits of doing so. Here's the list of apps in the Best Artistic App category for the 2010 'Best App Ever Awards'. ArtRage for iPad came third. Brushes got an Honourable Mention in the iPhone category. Do you ever have one of those phases where everything goes wrong - one after the other? What's been your worst ever experience in terms of sequential mini-disasters? Posted by Making A Mark on Sunday, January 30, 2011 6 comments Who's linking to this post? Categories art, art apps, art blogs, Art Business and Marketing, art history, art news, art society, exhibition, makingamark, opinion poll, who's made a mark this week? The first Making A Mark Poll of 2011 was very straightforward and it was maybe this reason which attracted a high number of votes. 262 people in total voted in the poll and the pattern of voting was apparent from early on. Various studies have been done about what percentage of the population is left-handed and the conclusions are that it between 8–15% of world population are left-handed. I've also read some who think that this figure can rise to as high as 30% if a very loose definition of left-handedness is used. 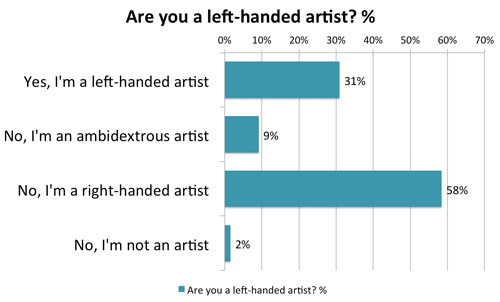 I provided no definition - I just asked whether people considered themselves a left-handed artist - and 31% did while 40% could use their left hand for art. Posted by Making A Mark on Saturday, January 29, 2011 4 comments Who's linking to this post? Next month, on the 18th and 19th February, pastel artists will be making an expedition to the basement of the Federation of British artists in Carlton House Terrace to drop off the work they are submitting to the 112th Annual Exhibition of The Pastel Society. This year it's called Colour 2011. I guess you might call that a hint? Note the "The" - that's because it's the premier pastel society in the UK - dating back to 1898. Of course, there'll be a bunch of other pastel artists who'll be submitting their work via the various regional pick-ups and hand-ins around the UK. what has stayed the same and what has changed - including observations about what I observed in terms of trends in work submitted and how work was presented for exhibition. For those of you who are tempted to submit work here is a summary of the conditions for entry. Posted by Making A Mark on Thursday, January 27, 2011 0 comments Who's linking to this post? 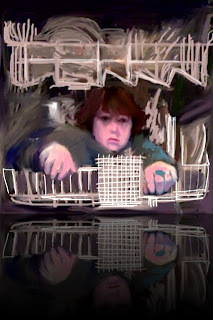 Find out about the major art exhibitions the major art galleries in museums in London in 2011. Have you ever missed an exhibition because you didn't realise it's on? I have - and that's the reason why I produce this list each year - so that I don't miss the exhibitions in London that I want to go and see! This post gets printed out and tacked to my pin board! It's good to share too. The blockbuster is probably going to be the da Vinci exhibition at the National Gallery since it's a one-off and da Vinci has increased in popularity in recent years for reasons not altogether connected to art! However I expect the Watercolour exhibition at Tate Britain will prove to be very popular too. There's an article about it in the current edition of Tate Etc and it looks absolutely fascinating - and I'm sure it will get great reviews. The big attractions for me will the Watercolour exhibition at Tate Britain, plus the exhibitions about the Watteau Drawings and the Degas Dancers at the RA and the Toulouse Lautrec at the Courtauld. I also rather suspect I'm going to be taking quite a few trips to south London to see the anniversary exhibitions at the Dulwich Picture Gallery - there's a distinct North American flavour to Dulwich this year! I'm also going to be interested to see the Gerhard Richter retrospective at Tate Modern. However I know there will be other exhibitions which will surprise and delight me - it'll be interesting to see which ones they are. Posted by Making A Mark on Wednesday, January 26, 2011 9 comments Who's linking to this post? 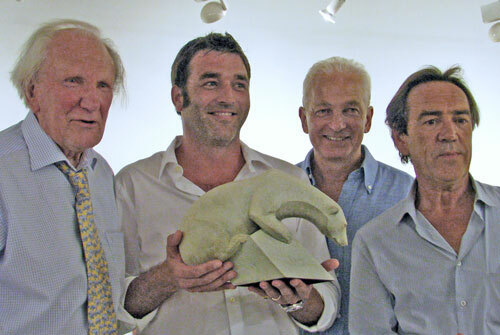 Two opportunities to be Wildlife Artist of the Year 2011! Posted by Making A Mark on Tuesday, January 25, 2011 0 comments Who's linking to this post? Who are the popular portrait painters? Here are some definitions of "portrait painter". Do you know any more? Princeton University - wordnet definition of "portrait painter"
Portrait painting is a genre in painting, where the intent is to depict the visual appearance of the subject. Beside human beings, animals, pets and even inanimate objects can be chosen as the subject for a portrait.......Portraitists create their work by commission, for public and private persons, or are inspired by admiration or affection for the subject.....A well-executed portrait is expected to show the inner essence of the subject (from the artist's point of view) or a flattering representation, not just a literal likeness. Websters provides a list of synonyms and translations for "portrait painter"
Where does portraiture start and finish and where does figurative art takes over? Is an artist a superior portrait artist if able to draw and sculpt as well as paint? 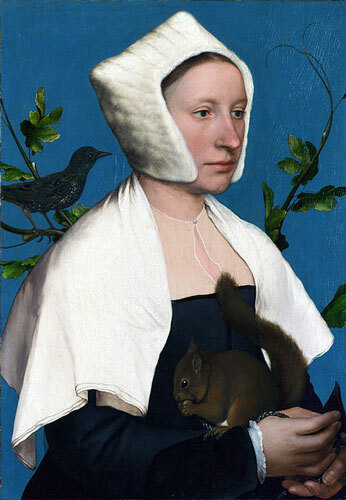 Should the query be about which are the best portrait artists or the best portrait painters? What's your thoughts on these conundrums? A portrait is a painting with something a little wrong with the mouth. Interestingly Wikipedia is surprisingly silent on this topic - having a very lightweight list of portrait artists. Now that's not the list I would have come up with. I don't see either Leonardo da Vinci or Raphael as primarily portrait painters - and why would you include those two and not Michaelangelo Buonarotti - unless you're ruling out an artist on the basis that representation of mythical/fantasy people doesn't count? Also Gericault and Arcimboldo would never make it into my top 10. Recognised portrait artists who do nothing for me include van Dyck, Peter Paul Rubens and Sir Joshua Reynolds - and I tend to think of Gainsborough as being more of a landscape artist. 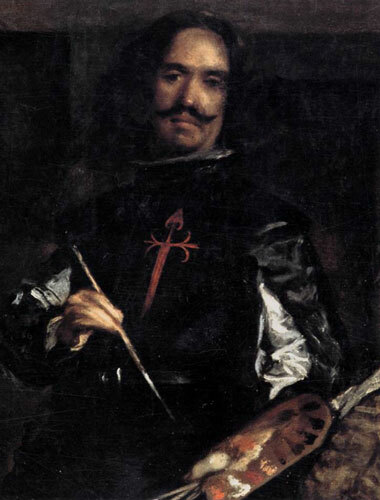 Concept Art has a thread about Who was the greatest portrait painter? This isn't so much a list as a statement of current musings! My top ten would include definitely Rembrandt, Holbein, Velasquez and Singer Sargent - and probably Jan van Eyck. However it would also include some more contemporary artists such as Chuck Close - who has been amazingly innovative and has really stretched the concept of how portraiture is created. Does Lucian Freud deserve to be included as well? I'm not sure - he never takes commissions. 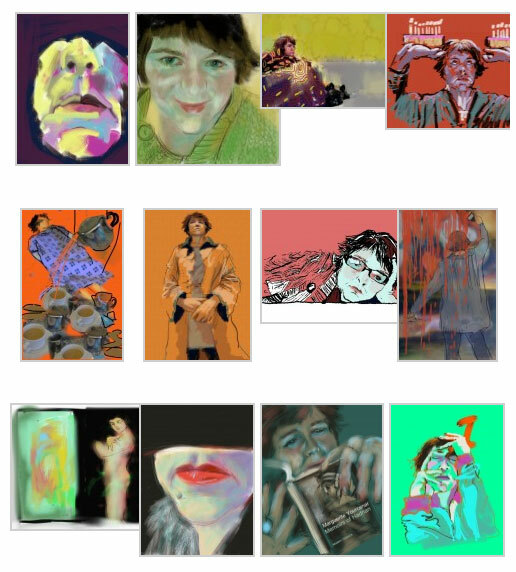 Neither does David Hockney who has also developed a strong focus on portraiture as part of his oevre. Should they be classified as figurative artists instead? 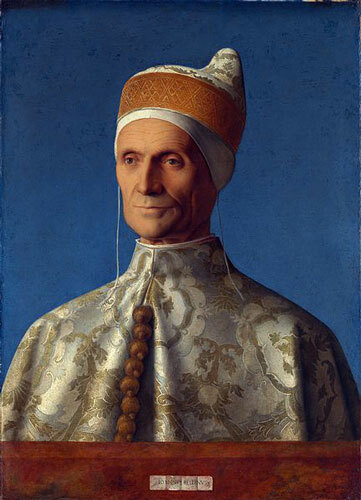 Other contenders for me would include Giovanni Bellini - mainly because of the famous Portrait of Doge Leonardo Loredan (1501), Albrecht Durer, Jan Vermeer, and Jean Auguste Dominique Ingres. I'm particularly aware of the fact that I know very little about artists outside Western Europe. I suspect that also goes for many other individuals who study western art history. However we need to remember that other cultures have produced very good portrait artists. For example, if one was going to include John Singer Sargent, shouldn't one also include Valentin Serov? Recently I've also been very impressed by Sir Thomas Lawrence - who I think is unparalled in his portraits of children. Since animals can be legitimate subjects for portraits should one also consider artists like John James Audubon? Who are your top 10 portrait artists? Tell me who are your top ten portrait artists are! 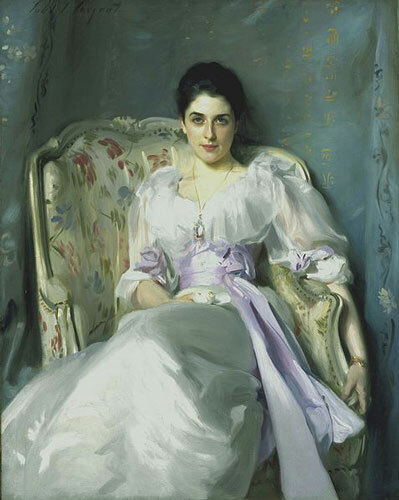 PLUS which are the top portrait artists missing from the above lists? Posted by Making A Mark on Monday, January 24, 2011 5 comments Who's linking to this post? I'm happy to announce that I'm participating in a new sketching project - which involves mailing sketches around the world - called A Postcard from my Walk. You can read all about it on the new blog - which was published today - and which you can find at http://walk-postcard.blogspot.com/. The project has grown out of the Sketchercise group which I founded. 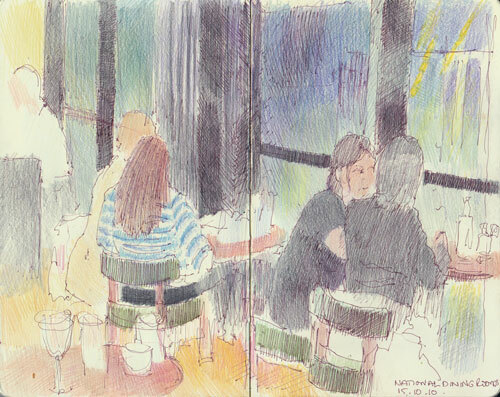 Sketchercise is a group of people who enjoy sketching from life (no photos! 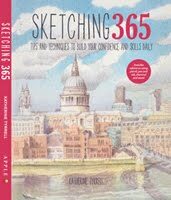 ), have already developed the sketching habit AND have found ways of getting out and about and exercising with a sketchbook. The idea of this new project is that once a month we will mail a sketch done on one of our walks to one of the group of Sketchercise members who are participating in the project. That way we get to see the real sketch rather than just the image on the Internet! The first postcards get mailed out next week and should start appearing on the blog in February when they arrive at their destination. I hope you enjoy following along - links to how to subscribe to this new blog can be found in the side column. PS Re Out to Lunch, I got a new microwave on Monday, ordered a new cooker this morning and it's arriving on Friday. Just got to go and turn the kitchen upside down now to work out where all the bits which I used to keep in or on the cooker are now going to go! Plus lots more stuff to do around the home so I'll be back next week. Posted by Making A Mark on Wednesday, January 19, 2011 6 comments Who's linking to this post? I need to take some time out. Yesterday my oven and microwave both decided to stop working properly within an hour of one another in the middle of cooking the Sunday Roast. I confess I did utter expletives as I first tried to complete a half cooked meal and some more as I then thought about what I need to do next. It's even less fun when you start to realise how impossible it is to get what you need when you need it now - right after Christmas when stocks are low! Get the picture? It vies for top awful kitchen equipment story of all time with the year when my fridge freezer packed up without any prior notice three days before Christmas. So today I'm going to be off scouring the internet and the stores for new equipment and then arranging for it to be delivered and fixed up. While I'm at it I'm also going to take the opportunity for short break as I've had a lot of "stuff" on my metaphorical plate of late and need both a breather and time to pay attention to other matters which need sorting and fixing. Posted by Making A Mark on Monday, January 17, 2011 8 comments Who's linking to this post? Have you ever considered how important the title is to getting people to read your blog post? Why does your title matter? David Ogilvy had a point - and part of the answer as to why the title - or headline - is important. He's the man who wtote the best primer on all aspects of advertising. Time called him "the most sought after wizard in the business". This truism applies to newspapers, magazines, advertising copy as well as websites and blogs. Clever blog post titles may look good but unless people click to read and/or look at your art they're entirely wasted. Today the reasons extend to the mechanics of search and how people read blogs for content. You read the title of the blog post in that email from that blog you subscribe to. Does the blog post title make you want to open it? Blog posts which reference your blog post (such as "who's made a mark this week") very often use the title you used. Many people set their feedreaders to headlines only (ie the title) rather than full post so they can scan content more quickly. If you don't attract attention with the title, then some of your subscribers will never read your post. 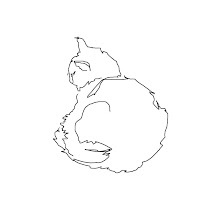 Posted by Making A Mark on Saturday, January 15, 2011 11 comments Who's linking to this post? 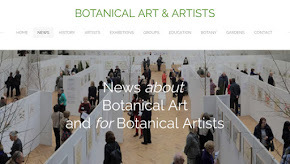 The Exhibiting Societies of Scottish Artists, or ESSA, is a collaborative fundraising venture between ourselves (VAS), The Society of Scottish Artists (SSA), and the Royal Scottish Society of Painters in Watercolour (RSW). ESSA organises regular selling events, such as an art auction and a postcard sale. I should have done this earlier - check the deadlines! Take this as a reminder for all those who are already prepared and make a note at the end of your calendar for 2012! The annual RSW Exhibition is a celebration of the practice of waterbased painting. Colour and creativity come together in this large show where RSW members and their guests show their work with non-members selected from an open submission. It's interesting that three of the societies appear to have arranged their deadline for artwork submissions amd exhibitions on the same days at the same venue. Posted by Making A Mark on Friday, January 14, 2011 0 comments Who's linking to this post? I went to a Breakfast meeting at the National Portrait Gallery this morning to hear about an exhibition which will be touring the UK from June this year to mark The Queen’s Diamond Jubilee in 2012. It will tour to each of the capital cities of the four countries of the United Kingdom finishing in London for the period covering the Diamond Jubilee Weekend at the beginning of June 2012. It opens in Edinburgh in June this year. The Queen is probably the most visually represented person in British history. Although eclipsed for a short while by Diana, Princess of Wales, the Queen's image has been represented across the world and throughout the Commonwealth - through formal portraiture, media photography and iconic images such as those on stamps and coins. Documenting the changing nature of representations of the Monarch, the exhibition will show how images serve as a lens through which to view shifting perceptions of royalty. The images of her reign tell the story of her reign and the story of how life has changed in those 60 years - and the monarchy with it. The monarchy has down-sized - as has the commonwealth. It is now less about the imperial aspects of empire and now more about 'ordinary people' in extraordinary roles. Ironically although she has gone from the formal to the more familiar, virtually all we know of her is through the image. While the mark of a good portrait is that it tells us about the person as well as what he or she looks like, with the images of the Queen we can't be sure how good they are. To me it seems as if there is a conundrem. The more realistic the representation, the more formal it becomes and the more distanced from the real person. The images which are less "realistic" may well say more about the person. At the end of the day, the abstractions of her identity and persona define her in different contexts, by different artists and photographers for different constituencies. Interestingly I learned that the Queen rather likes some of the images which the people of Britain have not taken to initially. Now who would have guessed that! I was amazed at the sheer range of ways in which she has been portrayed and although some of the images will be very familiar, others will be new and some will have never been seen before. Posted by Making A Mark on Wednesday, January 12, 2011 3 comments Who's linking to this post? 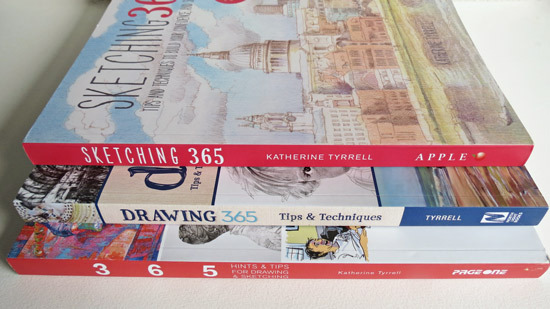 Two "Call for Entries" reminders for watercolourists in the UK - and abroad! First off - Wednesday 12th January 2011 is the deadline for entry form/fee payment. Work has to be submitted in February. So if you've forgotten to do your form now is the time to get your skates on - you've still got time to email your entry to them today. 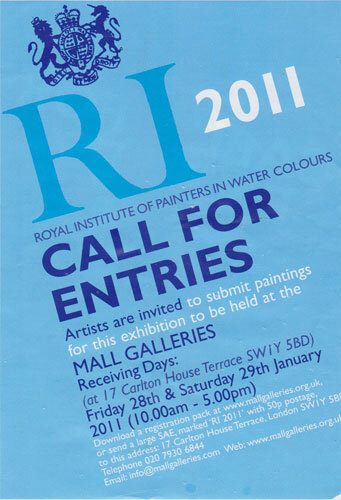 Back in October I did the Call for Entries post which you can find here Call for Entries: Royal Watercolour Society Open Competition 2011. This includes everything else you need to know. The 199th Annual Exhibition of the Royal Institute of Painters in Water Colours at the Mall Galleries will be held at the Mall Galleries opens on 30th March. You can subit work at the end of this month. The competition is "Open" meaning that non-members of the Royal Institute of Painters in Watercolour are allowed to submit work. A painting made using water soluble media, on a paper based support. 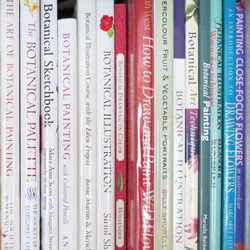 Acceptable media: Watercolour or any water soluble colour, any use of acrylic must be handled as a watercolour. Paintings must be under glass and should not be executed on hardboard. All pictures must be securely framed. Frames should be stout enough to withstand mirror plating for hanging purposes. No hooks are required for hanging purposes and there should be no projections whatsoever from the back of the frames. This is to prevent damage to other works. Metal frames and clip frames are inadmissible. Glazed works with unprotected glass edges are inadmissible. Non reflective glass is unacceptable. Frames and mounts of an unusual colour, size or design may prejudice the chance of hanging. 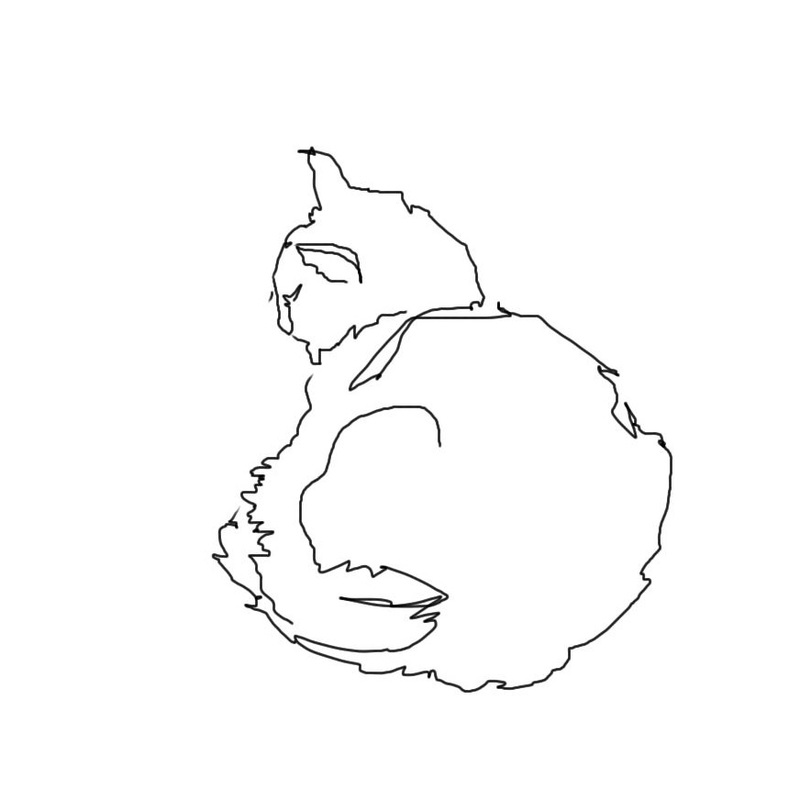 The website indicates that it's expected that an image will be isolated from the frame using a mount. However I'm sure works last year which had no mount and it's certainly the fashion at present of finding other ways of isolating the work from the glazing. Size of work: The Mall Galleries state "We cannot receive pictures taller than 2.4m (8ft), please call in advance if your work exceeds this"
Availability for Sale: All works must be for sale. All sales of a work by the Mall galleries - after the registration form has been submitted - take precdence over all private sales. Prices: Minimum price £300. The price entered on the Entry Form is the catalogue selling price. 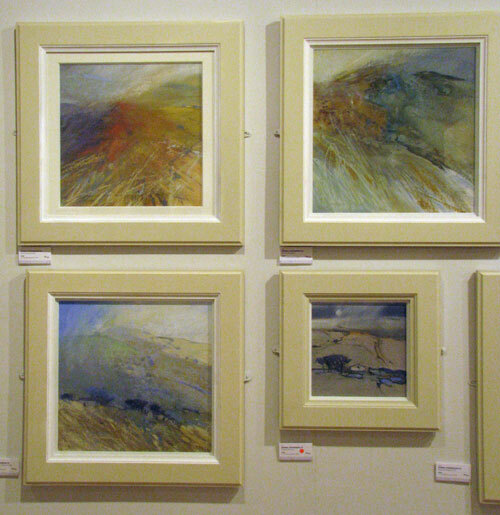 Prices should include gallery commission (including tax of 45% plus VAT) and VAT if the artist is VAT registered. The fee for each work submitted is £10 for each painting. A commission of 45% (plus VAT) is charged on the price paid for work or copyrights sold during or as a result of the exhibition, or on commissioned work (unless otherwise advised) arranged through the Exhibition Administrators. Works plus completed registration form, labels and submission fee have to be delivered unpacked to the Mall Galleries' basement administrative offices at: 17 Carlton House Terrace, London SW1Y 5BD - or to one of the regional pickup points. Select this link for information on regional handing-in points. The Mall Galleries Registration Form must accompany all works. The rules and regulations in the Registration Form and the Mall Galleries Registration Pack are binding. Receiving Days: Works can only be accepted on the receiving day(s) stated. Friday 28 January and Saturday 29 January 2011, 10am-5pm. All sales and payment for exhibited work will be handled by the Mall Galleries. If a painting sells for £300, the gallery will get 45% (ie £135) plus VAT on the £135 (ie £27) making a total deduction of £162 leaving the artist with £138. Will you be submitting work this year? Posted by Making A Mark on Tuesday, January 11, 2011 0 comments Who's linking to this post? Making A Mark achieves #2 in Top Ten Blogs of 2010! Top 10 Blogs of 2010. 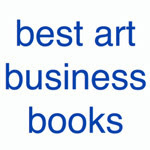 An unashamedly subjective list of the best art and culture blogs of 2010. From travel bloggers to photography fans – who made the grade? I'm extremely flattered as the creativetourist.com top 25 art blogs in the UK is produced using various statistical and objectives measures of popularity and hence I've always been very pleased to rank high in that (Making A Mark is currently #3). I'd also like to thank everybody who have been commenting recently to say how much they enjoy my blog. This news is even nicer on what has been a completely stress inducing day! This morning I became very fearful that the men driving very large excavating machinery - who are clearing a site next to my home for development - were excavating very large pits far too close to teh root system of an extremely large protected lime tree which is about 50 feet from the window of the room where I sit - and immediately adjacent to the party wall. Frantic emails and telephone calls and me screaming like a banshee at the people driving the excavators resulted in the excavations stopping only minutes before too much damage was done to the root system. I had visions of the tree toppling on top on my home - and me! Back to normal service tomorrow. I've now managed to secure fencing to protect the tree roots which run under the party wall onto the adjacent site! Posted by Making A Mark on Monday, January 10, 2011 9 comments Who's linking to this post? Categories art blogs, who's made a mark this year? 9th January 2011 - Who's made a mark this week? POLL: Are you a left handed artist? 2nd January 2011: Who's made a mark this week?